As businesses begin to realize the value of their data, they have also realized that a key to unlocking that value is breaking it out of the walls of single systems and into a single, structured view of their entire enterprise. At the same time, business processes frequently need to work with data from multiple sources and services provided by geographically and operationally disparate systems. EC:Integrate provides these capabilities. EC Wise combines disparate workflow and data stores to provide complete awareness of your business so that you can take action to mitigate risks and attack opportunities. We have partnered with leading database and integration companies including Oracle, Microsoft and Talend and has applied open source integration technologies like Servicemix and Apache Camel to provide a streamlined and customized approach to integrating data from multiple systems. 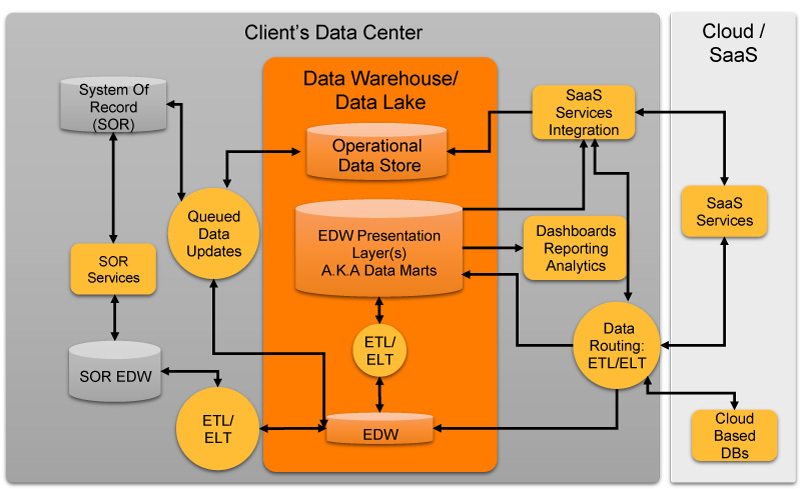 Whether you need to enable a single view of an information domain that can be used for reporting and then, if desired, for complex analytics, or if you need integrated, disambiguated data sets to drive downstream business processes, EC:Integrate’s secure, agile approach can get the job done.